Relationship breakdown throws up a range of commonly asked questions. 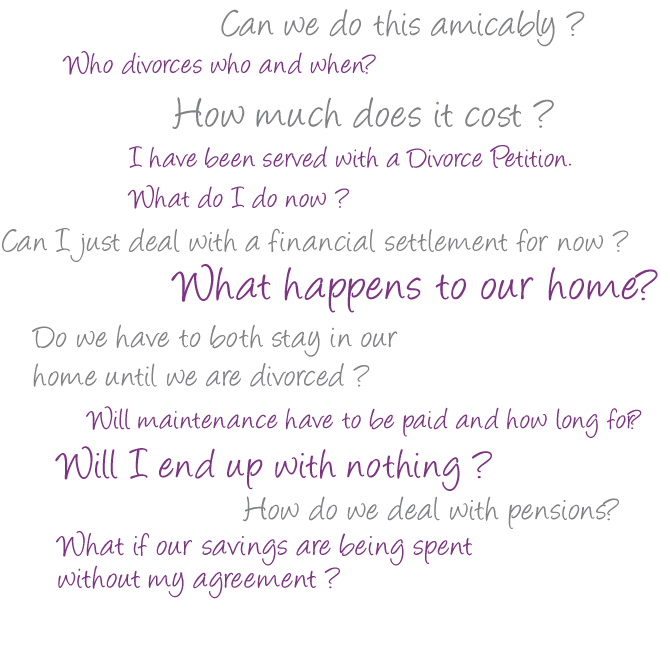 Every case we deal with is different and the answer to these questions will vary depending on the facts and circumstances of your situation. This is where our expertise comes into play and which is why we strongly recommend that you see a solicitor for advice on your particular situation. We are well used to advising on cases which are amicable and on cases which are more contentious.